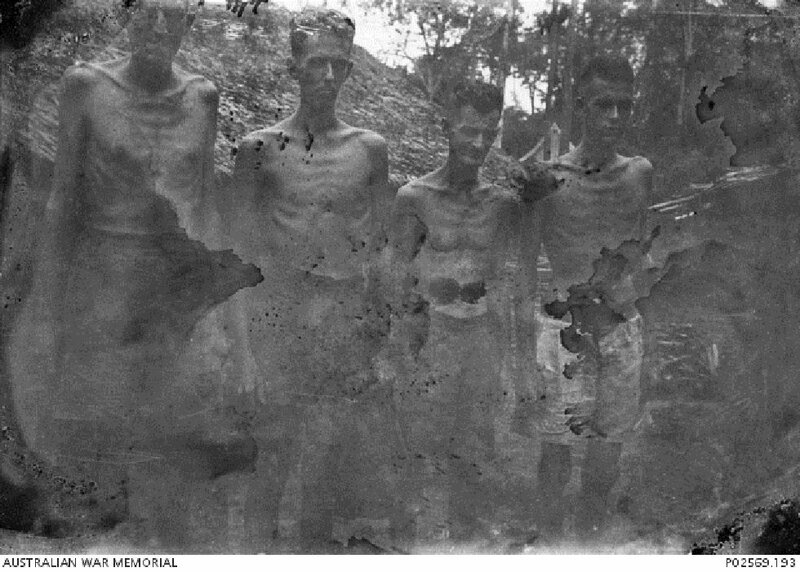 Four unidentified Australian POWs suffering from severe malnutrition and beri-beri. These men were deemed fit for continued work on the Burma-Siam Railway. Image courtesy of George Aspinall, Australian War Memorial. The accused persons were tried for committing a war crime by being concerned in the ill-treatment of British POWs interned at Normanton POW Camp, Singapore, resulting in the deaths of many and in physical suffering to many others. 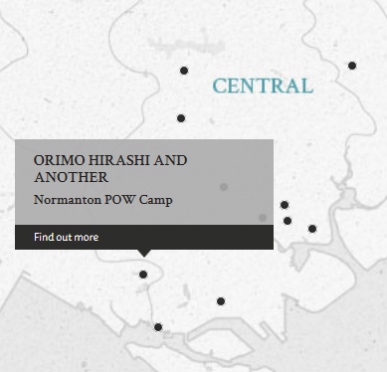 Orimo was found to be in charge of the camp and Nagayama was a guard and storeman in charge of rations and supplies. The conditions in the camp were very poor with inadequate food and medical supplies. The Japanese guards were also accused of having committed several acts of brutality. The accused persons were found to have been indifferent/contributed to these conditions by ignoring the British POWs' repeated representations regarding food, medical supplies and the removal of the sick to a hospital. The accused persons were also found to have encouraged, or participated in, the violence against the POWs. The tribunal declared this POW camp "the worst POW working camp in Singapore during the occupation". The case was covered extensively in the media, with the conditions in the camp and the various forms of punishment inflicted on the POWs reported upon. Orimo, Hirashi. Lieutenant. From Japanese military. From Japan. Guilty. 15 years' imprisonment. Sentence confirmed. Nagayama, Manjiro. Lance Corporal. From Japanese military. From Japan. Guilty. 7 years' imprisonment. Sentence confirmed. Greene, B.E. Lieutenant Colonel. From British Indian Army. Court president. Solicitor. Mancherjee. Captain. From British Indian Army. Barrister-at-law. Doi, Kimiaki. Judge at Tokyo District Court.